What you get with this order is. 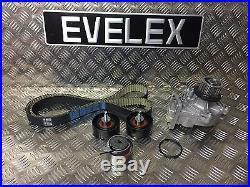 1X TIMING BELT KIT WITH WATER PUMP. 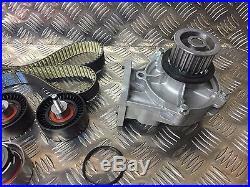 Timing belt would either be a Dayco, Goodyear Or BGT KIT in the box. All oe quality depends what we have in stock when you order. Please call if you have any questions, you need assistance, not sure if this is the correct part, or to resolve a problem. PLEASE CHECK COMPATIBILITY WITH US IF YOU BELIEVE THIS MAY FIT YOUR VEHICLE. Cannot find the part you are looking for? We can supply almost any part, for almost any vehicle! THANKS FOR LOOKING AT OUR PRODUCTS. 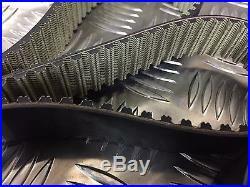 GENERIC IMAGE HAS BEEN USED, ACTUAL ITEM MAY DIFFER IN APPEARANCE, SIZE, AND SHAPE. IV, HS, KA27-28, KW, PA20-49, PA60-78, PH4-41, PH42-50, ZE, BT, IM, TR21-25, AB31-38, AB40-56, GY, JE, CHANNEL ISLANDS. ISLE OF WIGHT, ISLE OF MAN, SCILLY ISLES, SCOTTISH HIGHLANDS, SCOTTISH ISLANDS, AND NORTHERN IRELAND. 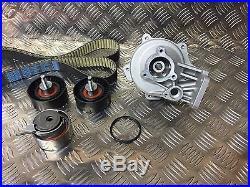 The item "TIMING BELT KIT AND WATER PUMP OE QUALITY CHRYSLER VOYAGER JEEP CHEROKEE 2.5/2.8" is in sale since Friday, August 11, 2017. 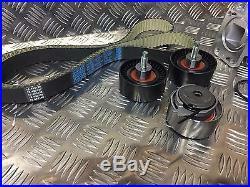 This item is in the category "Vehicle Parts & Accessories\Car Parts\Engines & Engine Parts\Belt, Pulley & Tensioner Kits".ltd" and is located in Heckmondwike. This item can be shipped worldwide.